Dance classes are going really well finally. I feel like I’ve really improved as a teacher, just in the fact that I’m now comfortable teaching. I actually have several students who come to class regularly. This is a major improvement. And we are set to have our next performance at the end of October. The dilemma I’m still facing, however, is time management. How do you fit everything into an hour long class? I still haven’t figured it out. I’ve finally just succumb to the fact that I have to sacrifice something every week and prioritize what is really necessary to ensure we are in the best position to progress. This week, I had to sacrifice the entire slow section to give a major zill break down intensive. I hate to do it. I feel like the slow family of movements already gets neglected as it is, but I really felt like the zill thing had to be done now before we got too far without them and then have to re-learn everything with them. I promised to pay extra attention to the slow family of moves next week to make up for it. So my class plan from now on, warm-up (always with shimmy practice, because you always need shimmy practice), one fast move breakdown and drilling, fast move vocabulary practice (revisiting things we’ve already covered) now with zills, one slow move breakdown and drilling, slow move vocabulary practice, and cool-down and stretching. As soon as the zills come together more, the vocabulary practice sections of the class will also become leading and following practice sections. So I will keep sacrificing things when it’s necessary to break something down in more detail and then keep building a more complexly structured dance class. Which makes sense because American Tribal Style is a complex dance form. Like my teacher used to say, it’s like learning to drive a standard while talking on the phone, drinking a soda, putting on mascara and changing the radio. I imagine that every teacher has to sacrifice something. My teacher for our technique class chooses a song to incorporate what technique she wants to teach us. I imagine you could find a song that incorporates both fast moves and slow moves. That’s a good idea. Then, I could have them do their fast and slow practice at the same time. I might give that a try. And it gives me an excuse to go on a new music search! 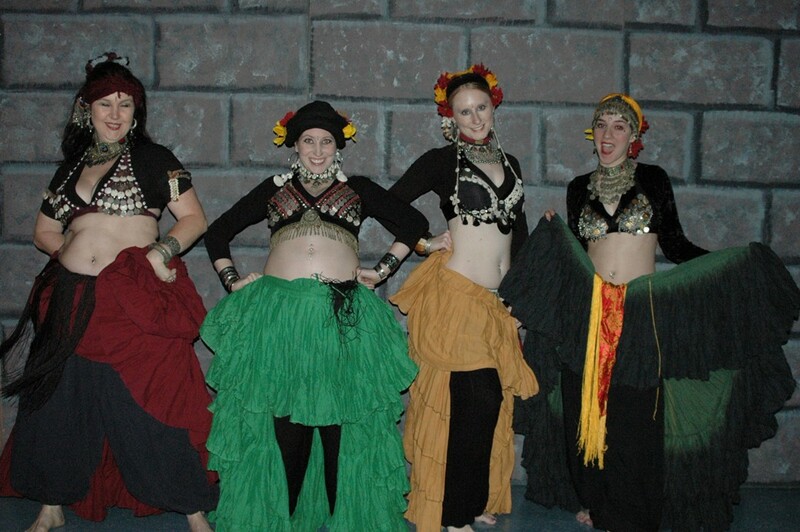 You are currently reading A Shimmy Progressive at JadeDancer.com.